What remains. or What? Remains? I’m still working on the formal diatribe. This will probably be cobbled from the bits and pieces you have seen thus far. Last weekend was my twenty-fifth high school reunion. This could easily turn into a gritty piece on how I was monumentally warped by my high school experiences; but really, the late John Hughes did that so much better. Even I know how nuts that sound. Then I just shifted into Auto-Pilot and started the routine that I know so well, shower, hair, contacts, make-up. Not an arduous process really, because mostly I don’t care, and all of the show biz training, I can at least apply the spackle with the rest of them. Why that’s important, I don’t know. And really, really, since when do I care so much? Now that I’m home, I don’t know what it mattered. The cliques still clacked, the good salt of the earth people were still good and salty. For the sake of this conversation, let’s call him Brad. Brad’s older brother-Cyril(not his real name) was in a hurry to get inside after the bell rang and literally ran right over my older brother, G. G had bent over to tie his shoe seconds before the bell rang. What I remember from this was my brother’s trip to the ER, and then Brad and Cyril and their parents coming over to our house so that Cyril could formally apologize. As I retold this story, Brad said that what he remembers is that around that same time someone in our brothers’ class died, and all this time he thought that the deceased child was the same one that Cyril had run over. Further along in the conversation, Brad said that he and is wife are considering putting their children in parochial school for their early elementary education. I told him that I am currently working on formal diatribe about education and that I am a staunch advocate of private education; and I went on to further warp him by citing his case as an example of how impressionable tiny children are and at this time, today, October 25, 2012, public schools in North Texas are slightly better than having a chicken who can play checkers spend the day with your kid. The formal diatribe will include more specifics, such as my recent experiences in working with public and private education and the reasons why I think we as a society are digging ourselves into a huge hole by not providing every child with the best possible education. The reason I am finishing the whole diatribe now is that I want to put together the best possible defense. Tomorrow I take on my most challenging job ever: I will be filling in for Miss Beverly; the Kindergarten secretary. Anyone who knows anything about schools know that the secretary is the one that runs the place. Miss Beverly said that it should be easy, I just make sure the classes all get any updated carpool information or messages from parents and that band-aids and other remedies for boo-boos get distributed. I’m not being sarcastic. I think being alert and present for any emergent need that a child might have is the most important job in the world. I have to prepare carefully. Long day today, much of which I will talk about when my brain isn’t yawning. This just in: My ebook, One Foot in the Door is now $1.99. Just my little bit to alleviate political stress. Check it out, you know you want to! One of those qualifications and diploma things that I have is a MEd in Educational Research. One of my professors said that once you have honed in on your topic, it becomes emergent in everything you read and experience. I am half-listening, half-choking on my own rage as Ricki Lake plays in the background. The topic today is The Childhood Obesity Epidemic. I don’t want to jump back on the fat train, but what is becoming emergent is that a lot of the fat shaming is happening at school. A good point is the fat shaming is part of the self fulfilling prophesy. You surround fat kids with fat shame and they give up. That happens with being called Stupid. Kids feel stupid because they are put in an environment where they are being set up to fail because, guess what, not every child learns in the same way. What a shock. Individual people have individual learning styles. Quelle Suprise. I had a professor who said about the “No Child Left Behind” movement, “Yes,but they don’t all have to come today.” Aptly put. I firmly believe that standardized testing is proof that Satan walks among us. I live in Texas. Standardized testing in this state has changed three times in the twenty plus years I have been teaching. To be honest, the idea of Standardized testing makes me want to punch someone in the throat. It doesn’t matter who, first come first served. Standardized testing limits the teacher’s ability to encourage creativity and a fluid learning environment. Standardized testing in itself creates undue pressure on both the teachers and the students to learn the test instead of learning how to think. This is creating kids who don’t like to learn , teachers who are burned out and don’t want to teach,and ultimately a population that is resistant to change. 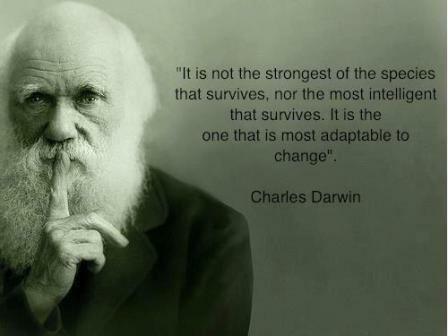 Why is adaptation to change important? To that end, I am actually taking notes and roughing at the draft of what I hoping will be a brilliant diatribe on education. I do have the opening , and this, of course will be subject to edit and change, not in small part because I’m pretty sure I have a fever and I’m waiting for the cold medication to kick in. I have often understood this quote by Flannery O’Connor to mean that childhood is such an ordeal that one will have writing material for a lifetime. I also associate O’Connor’s work with the same grimness that I associate with Faulkner and Steinbeck, not to mention their lighthearted, madcap pals Tennessee Williams and Eugene O’Neill. Childhood does not have to be grim. It so often is, but it doesn’t have to be. Maybe that’s because all of the writers of the grimmest childhood tales (no pun intended) are adults. I think we are very hard on our children. We do not have to be. This progress we have made in the last century was supposed to make things easier. After the Industrial Age we were supposed to do things to let children have childhoods. Dorothea Dix and John Dewey worked towards social and educational reform. I’m not a professional conspiracy theorist, and personally the main reason I long for Apocalypse is because all of my credit cards expire in 2013, but I’m sure I lose credibility leaping from Dorothea Dix and John Dewey to the expiration of the Mayan Calendar. So it’s back to the fat. At the end of the last diatribe I said that 138 was my rock bottom weight. I am 5’4″ and according to most calculations doctors, and, I am not kidding you, the book, “Here’s to You Miss Teen” a normal weight for me should be 120-125 lbs. Considering that at 138 lbs I am approximately a size five and only got there by focusing on the air content in anything that passed my lips, I can’t imagine what I would look like at 125. My brother is 6’2″ and from the age of thirteen to thirty-two he weighed 119 lbs. And for a large percentage of my life people felt that it was within the realm of decency to comment on the differences in our sizes. What I clearly remember is that my brother was quick to respond that was not the case at all. True, this was in the early 1970’s when it was still okay to emotionally scar your children. Definitely one of those moments I would love to have back. I know this is just one of the many stories out there in the lexicon of “how I got fat” legends. And that’s not at all what this is about. This is about trying to figure out how to put my thoughts into words and get stories written and books sold (Bet you thought I wouldn’t mention that again, but really, I promise you will like at least one of the stories in this volume of five short stories, plus bonus chapter for the low, low price of 2.99. But while I’m out in the world getting the stories and learning the lessons, I am observing, I’m not entirely sure why. Something I have noticed is that even in the books and stories that push the idea of “Hey, I’m fat and it’s okay.” even the heroine who is pushing that agenda decides that it’s not okay for HER (and it’s usually a HER) to be fat anymore and she goes about a massive makeover by dieting/exercising/ seeking out magical help and when she does lose a huge amount of wait she meets the man of her dreams and has the life she always wanted but never knew. I could go on like this for hours, but I’m trying to decide if I should have a few cocktails before I watch the vice-presidential debate. So as I am organizing the rant on education, I will begin my warm-up rant about Fat. This article made me think of the rest of the warm-up rant. I know why I’m fat. I eat too much because I try to eat my feelings. This stems from a secret kept for going on forty years now. I still can’t divulge the secret and confront the person responsible, because of a family truce, long story, too long and not entirely related to the topic. In addition to this carbohydrate laden prison of repression, I have genetics from one side of my family working against me and horrifying self-hating fat angst from the other side. I am currently dealing with my weight by attending Weight Watchers. My weight goes up and down the kind of pendulous consistency that I wish I had in the rest of my life. When people ask me how long I have been doing Weight Watchers, I say, “Since 1975.” I’m only kind of kidding. I seriously have been dealing with weight issues since I was around six years old. I vividly remember one of these Weight Watchers meals- Tuna Bake. This was a drained and rinsed tuna (this was in the days before water packed tuna was readily available.) The tuna was then lightly tossed with canned green beans and baked with a light glaze of sugar free barbecue sauce. Who would do that to a six year old? Someone who didn’t know any better and as a society at large, pun intended, we didn’t know any better. Now thirty-seven years later, I know where I went wrong on my weight loss journey. The only time I can remember having any real success at losing weight was in high school when I did a diet of my own device. I ate one meal a day, but I ate whatever I wanted. Then I kept myself occupied for the rest of the day so I could ignore any hungry pangs. This was by no means a balanced diet, but it did get me from a size 18 to a 13 and for a sixteen year old, that made all the difference. I maintained this weight for about a year and when I was seventeen I was in a mandatory health class in school where we were told to keep a food journal. I was terrified that I was going to be judged for what was probably a similar way of eating to all of the other kids in the class. To deal with this terror, I advance panicked and ate very little. For breakfast I ate cereal with skim milk, measured out very carefully. I also drank orange juice, also carefully measured. I decided that since this was pictured on the box and also in the health book as “part of a healthy breakfast” it was yea, verily, a healthy breakfast. For lunch I had a boiled egg and a banana or apple. I would also have Diet Coke. Dinner was a sparse portion of whatever the family was eating for dinner. For exercise, I was in the marching band, I took dance class at school and if I didn’t have rehearsal, I would do sixty sit ups and sixty different stretching exercises. I had a boyfriend at this time, and we would go out to dinner on Fridays or Saturdays. I would eat whatever I wanted for these meals. By the time Christmas came around, I was down to a size 10. I was also very weak and wan. I snuck a look at my weight at the doctor’s office. This is the least I have ever weighed in my adult life. I still wonder what it is she had in mind. I figured my choices were to either a) wrestle people to the ground as the tried to approach, or b) squat on the roof like a gargoyle. Anyway, Uncle Hugh, is known for his ability to talk ad infinitum about anything and everything. I decided that as a favor to the family, I would have a chat with Uncle Hugh while the rest of the family enjoyed their lunch. One month prior to this I had completed the Oral Exams for my Master’s in Education so when Uncle Hugh asked me what I thought about the role of the teacher in the current environment. The Mary Kay Letourneau case had just gotten national attention, so I was well prepared to answer that. I covered the topic citing examples from Bell Hooks, Jonathon Kozol and touching a bit on chaos theory. After that, Uncle Hugh got up, thanked me for the informative chat and walked away. Now that story is important because it sets the stage for the speechifying that I am preparing to do. The topic of the rant I am currently working on is: We are hard on our children and we don’t have to be. I am speaking in terms of Education, although I am also thinking about how society has viewed children throughout the development of society. It’s a lot to wade through, but I am a firm believer in not speechifying until you have lined up all of your ducks. And I don’t want to bother the ducklings until they are ready.